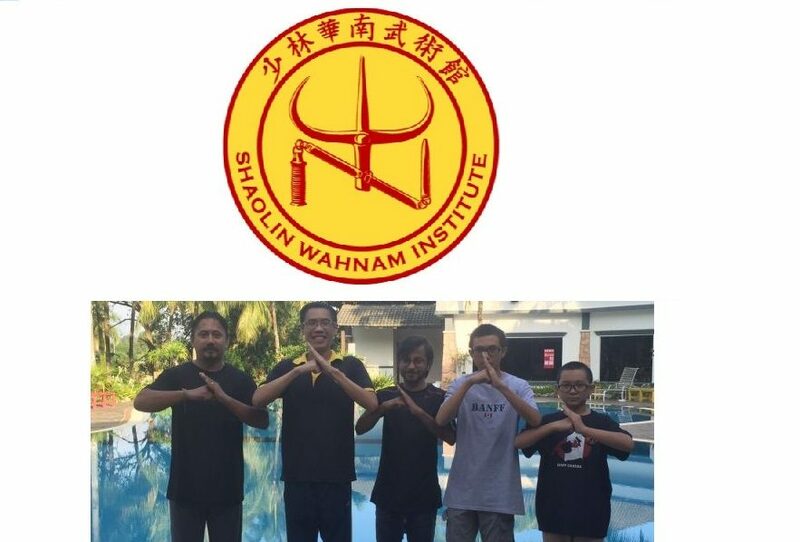 With the help of Sam Tuck, Luk Ah Choy, Fong Sai Yuk and Wu Wei Thien from Guangzhou, Hoong Hei Khoon set up a kungfu school at Foshan, which was a big city some distance from the province capital at Guangzhou. Hoong Hei Khoon named his school “Siu Lam Hoong Koon” or “Shaolin Hoong Kungfu School”. Soon it was New Year day. Many kungfu schools celebrated the New Year festive session with lion dance. Amongst the famous lion dance teams were from Chan Kungfu School, Leong Kungfu School, Li Kungfu School and Lu Kungfu School. A wealthy shop, called Toi Woh Hong, hung up a “green” (i.e. vegetable with a red packet containing money) tens of feet in the sky for the lions to gather. Attached to the “green” was a banner clearly stating that gathering the “green” depended on the personal kungfu skill of the head and the tail lion dancers, and other people were not permitted to help. The first lion team that saw the “green” was from Lu Kungfu School. The master and students of the Lu Kungfu School found the “green” too high, so they just passed it. Then came the lion teams from Leong Kungfu School and Li Kungfu School. The kungfu masters and students had a look at the “green”, and then walked away. The lion team from Chan Kungfu School soon followed. The kungfu master and his students discussed how they could gather the “green”. Some students suggested using human formation, called Lohan formation, which was forming different tiers of people one on top of the other. Their sifu mentioned that this was not permitted as stated in the banner. As they could not find a good solution, they also passed the “green” without gathering it. The last to arrive was the lion team from Hoong Kungfu School. Some students reported to Hoong Hei Khoon that the “green” was very high, but human formation, which was a usual way to gather high “green”, was not allowed. They also suggested that the lion would by pass the “green”. “But how would we gather the green if human formations are not allowed?” declared some students. “I’ll show you,” Hoong Hei Khoon answered. He took over the lion head, and a senior student took the tail. The lion dance music, which comprised a gigantic drum, a massive gong and some pairs of copper cymbals, sounded majestically. The lion danced magnificently beneath the “green”, with the lion music creating a joyful din. After some time, Hoong Hei Khoon opened the mouth of the lion and sent out a flying dart, which neatly cut the thread tying the “green”, causing it fall into the lion mouth. All those present applauded loudly and noisily. The news soon reached lion dancers of the Chan Kungfu School. They became jealous, and came back to scold the lion dancers of the Hoong Kungfu School that they had no manners. This caused members of both lion dance teams shouted at each other and some of them exchanged blows. The master of the Chan Kungfu School was called Chan Tiet Ngow. He was good at kungfu and had much strength, but was arrogant and irrational. Chan Tiet Ngow did not answer. He went forward and thrust a punch at Hoong Hei Khoon. Hoong Hei Khoon retreated a small step to avoid the punch. He did not counter. He did not want to change this small matter into a big matter. But Chan Tiet Ngow did not appreciate it. He moved forward again and hung a buffalo-horn fist at Hoong Hei Khoon’s temple. Hoong Hei Khoon gently brushed off this attack with a thread-hand, using a pattern called “Golden Dragon Plays with Water”. The two masters then exchanged a number of movements. Chan Tiet Ngow employed a sideway low horse-riding stance and executed a right thrust punch at Hoong Hei Khoon’s abdomen. Hoong Hei Khoon withdrew his front leg into a left lift-leg stance and employed the pattern “Lohan Plays with Tiger”, thrusting his left fist into Chan Tiet Ngow’s ribs, while his left punching arm brushed away Chan Tiet Ngow’s thrust punch. Chan Tiet Ngow could not avoid, and was hit on the ribs. Instantly, Hoong Hei Khoon pushed away Chan Tiet Ngow’s right hand, and simultaneously hung a left fist on the opponent’s face, and kicked at the opponent’s groin with his right foot, in a pattern called “Rising Dragon Galloping Tiger”. But out of compassion, Hoong Hei Khoon kicked at the opponent’s abdomen instead of the groin. This combat sequence was from the kungfu set called Triple Stretch, which was a specialty of Hoong Hei Khoon. Hoong Hei Khoon could have broken Chan Tiet Ngow’s bones, smashed his groin, and caused the opponent serious injury or even death. But he did not want to enlarge what to him was a small matter. He just wanted to put Chan Tiet Ngow out of action for some time. Chan Tiet Ngow’s students ran forward and carried their sifu away. After this incident Hoong Hei Khoon became famous in Foshan. He was also known to be kindhearted. Later he was regarded as the First Patriarch of Southern Shaolin Kungfu, often called Hoong Family Kungfu, in the world. This entry was posted in Grandmaster Wong Kiew Kit, Kung Fu, kung fu culture, Kung Fu Sets, kung fu sparring, legends, Shaolin, Shaolin Wahnam, stories and tagged Grandmaster Wong Kiew Kit, Kung Fu, kung fu culture, Kung Fu Sets, kung fu sparring, legends, Shaolin, Shaolin Wahnam, Stories on November 6, 2018 by Wei Joo Lee. The evening sun was sinking in the west on a cold day. The sky was spread with colorful clouds. Luk Ah Choy faced wind and dust on a government road. He was concerned that when night descended, he had no inn to stay in. Luk Ah Choy hurried along and saw a few sheds, with their back facing a village. He was attracted that all the furniture was made of bamboo — bamboo doors, bamboo curtains, bamboo tables, bamboo chairs — which gave him a special sense of romance. Besides the sheds there were some ancient birch trees, with their roots floating above the soil. The evening shade was thick like a cover, and when gentle breeze blew, saplings dropping from branches drifted amiably in the air. Seeing this lovely scene, Luk Ah Choy felt pleasant in his heart. Luh Ah Choy entered an eating-house. A young boy in his teen came smiling forward. Luk Ah Choy ordered chicken and wine. After some time, an old man placed a plate of fried chicken and a pot of wine on a table. Luk Ah Choy was hungry. He enjoyed the chicken and wine. When some wine had gone into his stomach, Luk Ah Choy exhibited his warrior’s spirit. He went outside, rabbit rose and sparrow descended, and practiced a Shaolin set. When he had completed his set, he heard some people praising from behind. He turned back and found the old man and his workers. The person who spoke was Cheah Pak. His chest and shoulders were wide, his waist narrow and legs long. At one glance, one would know he had practiced martial art. Luk Ah Choy answered, “As elder brother has asked, how dare I not follow? The Shaolin five animals are dragon, snake, tiger, leopard and crane. “Dragon form trains spirit. Martial artists have their chi (or vital energy) accumulated at their dan tian (or energy fields). Extending their limbs or bending their body, their heart and their hands and legs mutually co-ordinate, like a spiritual dragon traveling in clouds, changing and modifying beyond expectation. “Snake form trains energy. 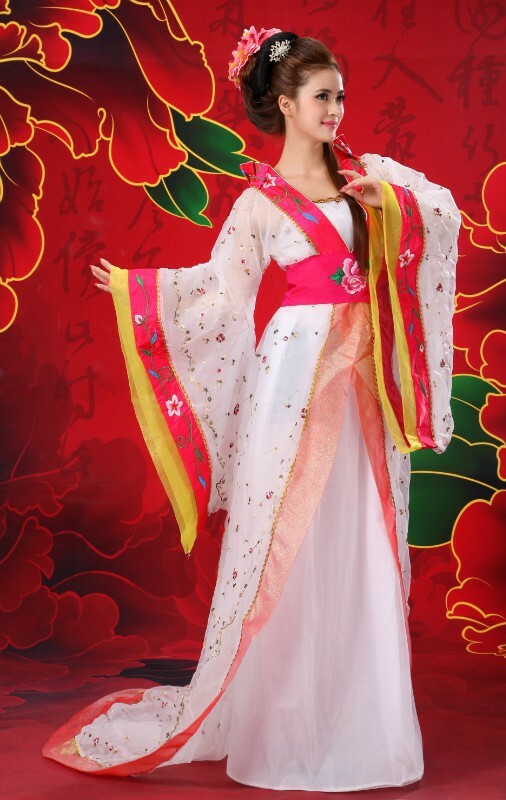 Its application needs to be soft and harmonious. Firstly, use the technique of ‘Stabilizing Golden Bridge’ (performed at the Horse-Riding Stance with both outstretched arms with the index finger of each hand pointing skyward, and the other fingers bent at the second joints) to lead energy to flow to the finger tips, making the ten fingers like iron like steel. “Tiger form trains bones (i.e. internal force). Waist and body as well as stances and footwork movement are both firm and agile, like tiger claws charging, catching, pressing and waiting. Short hands (i.e. close techniques) defend the body. Its force is at the waist, stance and footwork, and bridges (i.e. forearms). “Leopard form trains strength. The moving forward and backward, jumping and avoiding must be alive and agile. Striking with fists depends on shooting, piercing, charging, pressing, testing and other techniques. Before the sound of the sentence ended, Cheah Pak moved forward and thrust out his punch. Luk Ah Choy “leaned” his arm against Cheak Pak’s arm, wanting to find out the strength of Cheah Pak. Cheah Pak felt his arm being pressed on. He slipped away and attacked Luk Ah Choy’s face with a pattern called “White Tiger Presents Palm”. Luk Ah Choy knew that one who could slip away and counter, instead of stubbornly matched strength, was good at kungfu. Luk Ah Choy warded off the top attack, and struck the front leg of Cheah Pak. Cheah Pak retreated his front leg, turned his body around and slapped on Luk Ah Choy’s face with a pattern known as “Devil King Waves Fan”. Luk Ah Choy squatted down to avoid the top attack, and simultaneously swept at Cheah Pak’s legs using a pattern called “Iron Leg Sweeps Hall”. Cheah Pak jumped away to avoid the sweeping leg. Luk Ah Choy stood up and adopted a poise pattern, with his right tiger-claw forward, his left hand kept at the waist in a fist, and stood at a right lift-leg stance. This was exactly a pattern from the Shaolin Five-Animal Set. Luk Ah Choy employed the tiger form. Amongst the many techniques in the tiger-form was the single tiger-claw. A marvelous use of the single tiger-claw was to tempt an opponent to attack. Cheah Pak rushed forward with another right punch. When the punch was near, Luk Ah Choy gripped the punching arm with his right tiger-claw, and with his left hand gave the opponent a gently push. Cheak Pak fell back a few feet. Cheah Pak jumped up, brushed off the dust from his body, and replied, “The gate of Shaolin does not have any false warriors. Today I have received the teaching. Thank you very much for letting mercy flow from your hands. I have increased my seeing and knowledge. This entry was posted in Grandmaster Wong Kiew Kit, Kung Fu, kung fu culture, Kung Fu Sets, kung fu sparring, legends, Shaolin, Shaolin Wahnam, stories and tagged Grandmaster Wong Kiew Kit, Kung Fu, kung fu culture, Kung Fu Sets, kung fu sparring, legends, Shaolin, Shaolin Wahnam, Stories on September 4, 2018 by Wei Joo Lee. Li Chooi Peng paid her cousin sister, Wang Wei Lin, a visit. One of the reasons was to meet the villain, Leong Fa Yun. But Leong Fa Yun was not at home when she visited, so she spent much of the time with her cousin sister to talk about old times. However, when Li Chooi Peng was about to leave, Leong Fa Yun returned home. Indeed streets were narrow for those who had grudges (which meant that those who had grudges often met). “Ah, the famous Miss Li Chooi Peng. I’ve heard about your fame in the lion dance on New Year day,” Leong Fa Yun said. Li Chooi Peng had a look at him. His face was wide, and his cheek bones high. He was smiling, but Li Chooi Peng could see vengeance in his eyes. He kept staring at Li Chooi Peng, without moving his eyes away. When Leong Fa Yun had returned to his room, he paced about with his hands behind his back. 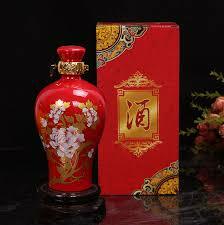 So the next morning, he went with some servants carrying expensive gifts to Li Chooi Peng’s house. At that time, Li Chooi Peng was having breakfast with her mother, and they heard a knock on their door. When Madame Lau opened the door, she had a shock. “You just married my niece, Wang Wei Lin,” Madame Lau said. 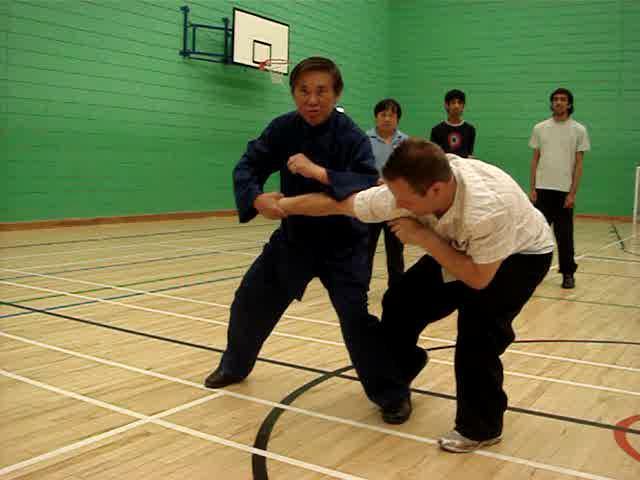 Li Chooi Peng moved forward to execute a punch at Leong Fa Yun. Leong Fa Yun quickly warded off the punch. The two persons then fought on the street. Li Chooi Peng understood kungfu philosophy well. She changed her attack to defence, to watch the opponent’s movements, but she was ready to strike back when an opportunity arose. So he moved forward and struck Li Chooi Peng’s head with his right palm. She quickly dodged to avoid the attack. 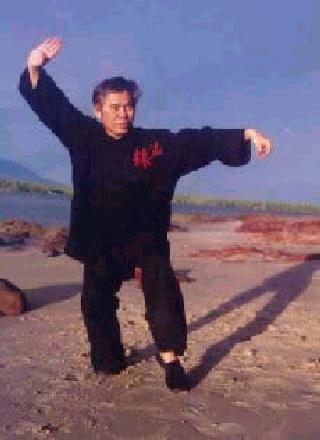 Immediately he swept at Li Chooi Peng with his left hand, using the pattern “Whirlwind Sweeps Leaves”. Li Chooi Peng moved back to avoid the sweeping hand. Then Leong Fa Yun kicked out his right leg at Li Chooi Peng’s body. Li Chooi Peng gently threaded it away with her right palm. 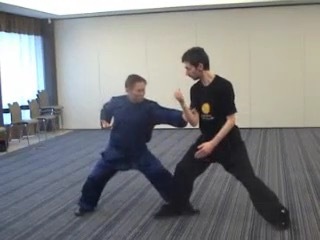 The two persons exchanged many encounters, with Leong Fa Yun attacking and Li Chooi Peng avoiding. Leong Fa Yun thought that Li Chooi Peng was quite helpless, knowing just to avoid without counter-attacking. Leong Fa Yun moved in with a right thrust punch. This time Li Chooi Peng anticipated his attack. She moved gently to a side to avoid the punch, then using her two eagle-claws gripped his right striking arm at his elbow and wrist at a time when the arm was fully extended, using Combat Sequence 8 which was called “Pai Pou Hang” or “Side-Step Move”. Leong Fa Yun gave a loud yell as he felt the sharp pain at his arm. Still holding the opponent’s right elbow with her left eagle-claw, Li Chooi Peng executed a right thrust punch at Leong Fa Yun’s heart, using the pattern “Black Tiger Steals Heart”. Leong Fa Yun fell back a few steps on the street, dead. His servants who came with expensive gifts were stunned. They dropped the gifts and ran for life. This entry was posted in Grandmaster Wong Kiew Kit, Kung Fu, kung fu culture, Kung Fu Sets, kung fu sparring, legends, Shaolin, Shaolin Wahnam, stories and tagged Grandmaster Wong Kiew Kit, Kung Fu, kung fu culture, Kung Fu Sets, kung fu sparring, legends, Shaolin, Shaolin Wahnam, Stories on July 3, 2018 by Wei Joo Lee. Commissioner Chin’s career in the Imperial Bureau of Criminal Investigation had been so outstandingly successful that people called him the Perfect Detective. Like Yang Shao Ming, he was also good at kungfu. Any police officer, if he wanted to survive, had to be proficient in the martial arts, for although this period of Chinese history during the Ming Dynasty was comparatively peaceful and prosperous, big time criminals were generally skillful fighters. Indeed to a great extent it was because of his kungfu excellence as much as his efficiency in preventing and solving crimes that the public enjoyed peaceful times. Nevertheless, the Commissioner was even better known for his fine taste. Everything about him was the best: he wore the best clothes, ate the best food, drank the best wine, had the best-looking women, and mixed with the best friends. Even his officers and his investigation methods were the best. In fact people were convinced that Commissioner Chin was the personification of success. What can worry Commissioner Chin? Yang wondered to himself. Just what on earth can worry this man whose support includes the highest ministers of the Emperor, whose friends comprise of the best kungfu experts in China, and whose efficiency spells fear as well as reverence throughout the whole underworld of crime? Yang hoped Chin would reveal his worries, but the more he hoped, the more Chin seemed to have forgotten about this irresistible curiosity which he appeared to have accidentally caused Yang to suffer. Yang looked across the table at the Police Commissioner. His earlier sulky look had disappeared from his face. Commissioner Chin even seemed to be smiling to himself, being oblivious to the troubled thoughts in Yang’s head, and oblivious to everything around him. He took a sip of his fragrant wine, sat back and rinsed the wine gently and artfully in his mouth, and with eyes closed, obviously enjoying its lingering aroma. Can the cause of his worries be Fragrant Fox? Yang reasoned to himself. He realized he could stand it no longer. “Have you any news of Fragrant Fox?” he eventually asked, almost foolishly. “She has given me enough trouble, this Fox,” Chin replied wrathfully. It was amazing how quickly his earlier complacent disposition turned into anger. “I’ll soon have her caught.” But in a moment, the Commissioner reverted to his nonchalant mood, as if totally involved in the appreciation of his wine. Yang could understand Chin’s exasperation, even for a moment. Although this Fragrant Fox was actually not a criminal — she never robbed nor killed — yet she must have caused this Chief Investigator of the Empire more trouble than the most notorious criminals. Since the widely-talked-about appearance of this highly amorous Fox some months ago, many people had begun to doubt the validity of the Perfect Detective’s reputation. “Perhaps she is a very ugly woman. She has to wear different masks to hide her face,” Yang jested. “She is extremely beautiful and charming,” Chin objected, then sighed, as if regretting that had she been a less insatiable lover, he might have married her. “My investigation? So you are again asking me to do your investigation!” Yang protested. “I hope you won’t refuse to help,” came a melodious, timely reply from behind. This entry was posted in Grandmaster Wong Kiew Kit, Kung Fu, Kung Fu Sets, Shaolin Wahnam, Sifu's pearls of wisdom, stories and tagged Grandmaster Wong Kiew Kit, Kung Fu, Kung Fu Sets, Shaolin Wahnam, Stories on December 12, 2017 by Wei Joo Lee. As Yang Shao Ming entered the reception chamber, Commissioner Chin was already waiting. The room was spacious and luxurious, with expensive paintings on walls and precious porcelains vases on artistically carved selves. Everything about the room was delicate and exquisite, just like the Commissioner himself. The Commissioner, in his early thirties, was comfortably seated at a table, laid over with a fine, red silk table-cloth, and on the table were delicious food and excellent wine. Yang Shao Ming could easily tell the superb quality of the wine by its gentle, fragrant aroma. Commissioner Chin was alone. Even his bodyguards and the pretty maidens who habitually surrounded and pampered him were conspicuously absent. That was quite true. Any one of Yang’s friends would agree that was true. Yang Shao Ming was only in his late twenties, but he was so skillful in martial arts that many people considered him one of the best kungfu exponents the famous Shaolin Monastery had ever produced. But, of course, it was not merely because of his Shaolin kungfu that his friends adored him. “Unfortunately I am not drinking for my own pleasure this very moment!” The Commissioner frowned. And he said this so naturally and spontaneously that his friend was not sure whether he was joking. “Three cupfuls to drown my worries,” Chin sighed as he gobbled down his first cupful of scarlet wine. Yang almost burst out laughing. “You should know my worries, my two pertinent worries,” Chin said with half closed eyes. Yang could not laugh now. He wanted to know the two pertinent worries, yet he dared not ask. He knew too well that as soon as he foolishly opened his mouth, Chin would talk him into doing favours again. He had done enough favours for the Commissioner in solving crimes, and this time Yang was determined not to be used again. He sat back, like his friend, half closing his eyes, and tried to enjoy the succulent Persian wine. Wine, Songs and Women: these were the pleasures of men – at least of most men. But now Yang did not find the wine pleasurable. Two pertinent worries? Yang thought. This entry was posted in Grandmaster Wong Kiew Kit, Kung Fu, Kung Fu Sets, Shaolin Wahnam, Sifu's pearls of wisdom, stories and tagged Grandmaster Wong Kiew Kit, Kung Fu, Kung Fu Sets, Shaolin Wahnam, Stories on November 28, 2017 by Wei Joo Lee.